Major purpose of this lecture is to presentation on International Monetary System. 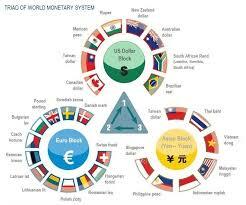 An international monetary system is the set of organizations by which a government supply money in a country’s economy. Present monetary systems generally consist of mints, central banks and commercial banks. This lecture briefly describe relationship between monetary system and foreign exchange rates, fixed vs floating exchange rates, role of the IMF and World Bank and finally focus on Implications of Monetary System for managers.